Lead­ing the way in Canada’s Indige­nous artis­tic renais­sance is Polaris Prize win­ning singer Jere­my Dutch­er. 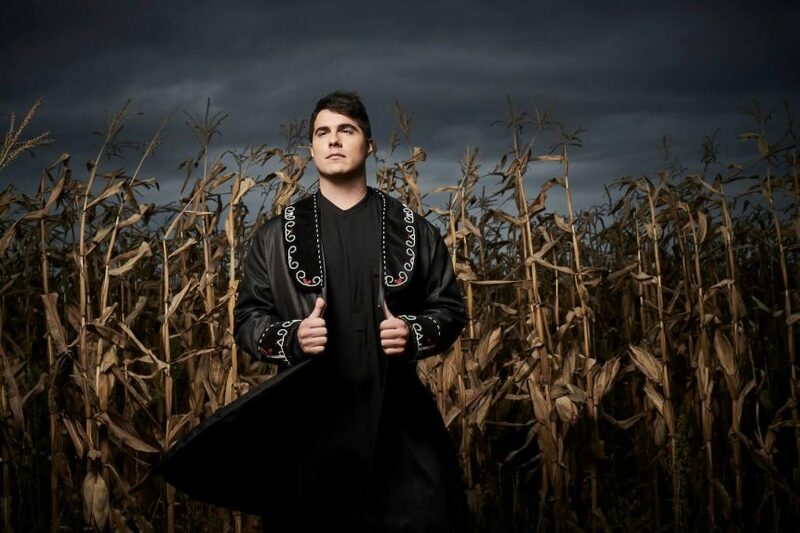 A clas­si­cal­ly trained tenor, Dutch­er is also a musi­col­o­gist intent on reviv­ing the lan­guage of his Maliseet ances­tors through song. While look­ing back, his work is also thor­ough­ly con­tem­po­rary and sug­gests a way forward. The Win­nipeg Folk Fes­ti­val is proud to present Jere­my Dutch­er at the West End Cul­tur­al Cen­tre on Wednes­day March 6th and advance tick­ets for the evening will go fast so don’t miss out on see­ing this cap­ti­vat­ing per­former live. Pur­chase yours now at all Tick­et­mas­ter out­lets for only $22.50 plus fees. The incom­pa­ra­ble Jere­my Dutch­er at the West End Cul­tur­al Cen­tre on Wednes­day March 6th pre­sent­ed by the Win­nipeg Folk Fes­ti­val and proud­ly sup­port­ed by 101.5 UMFM.